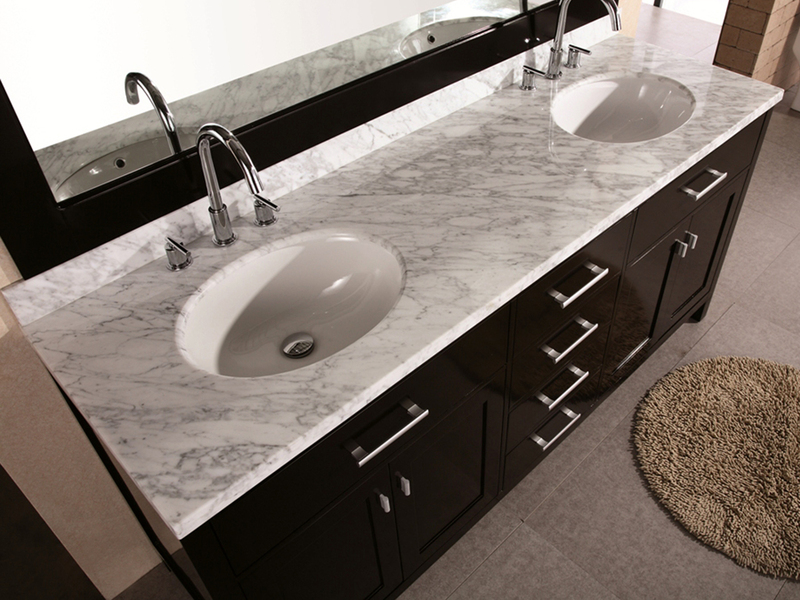 The London Double Vanity is a great blend of modern beauty and functionality. 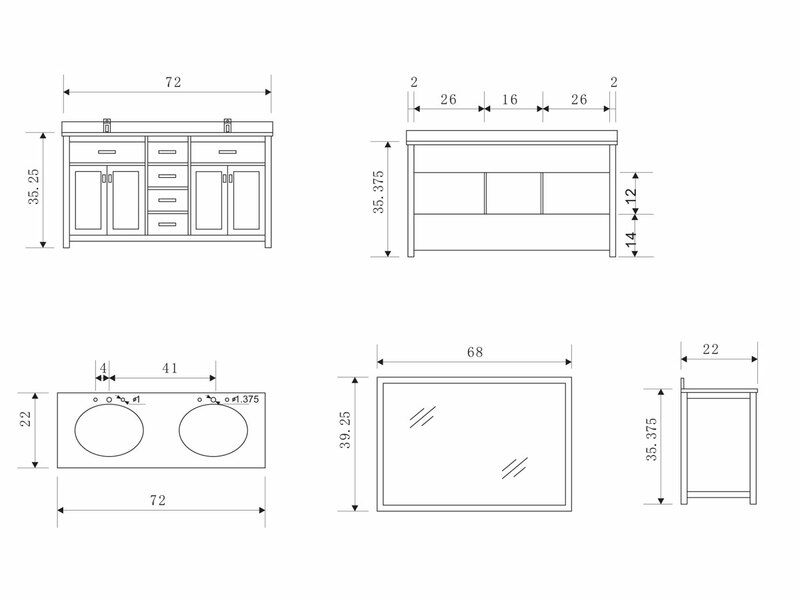 Its modern design is achieved through its clean lines, rich espresso finish and beautiful marble counter top. 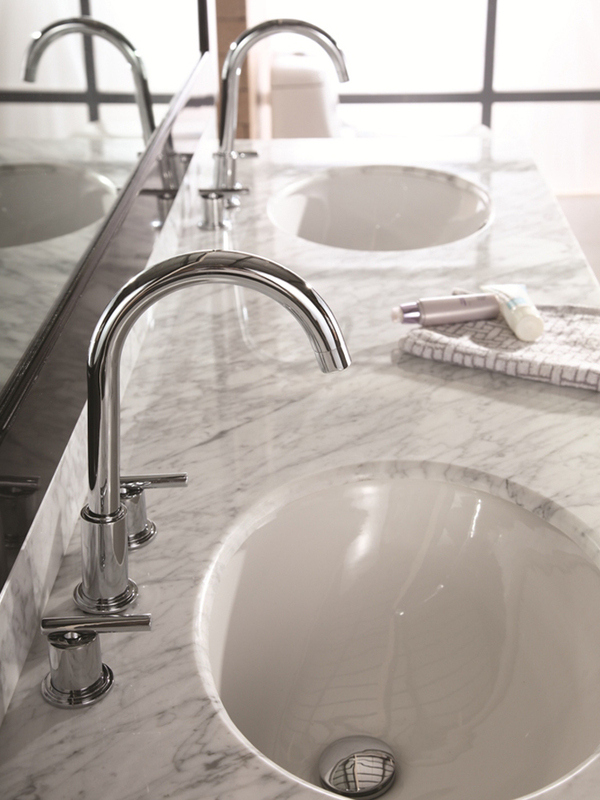 The counter top is not only great looking; it is spacious as well despite housing two sinks. 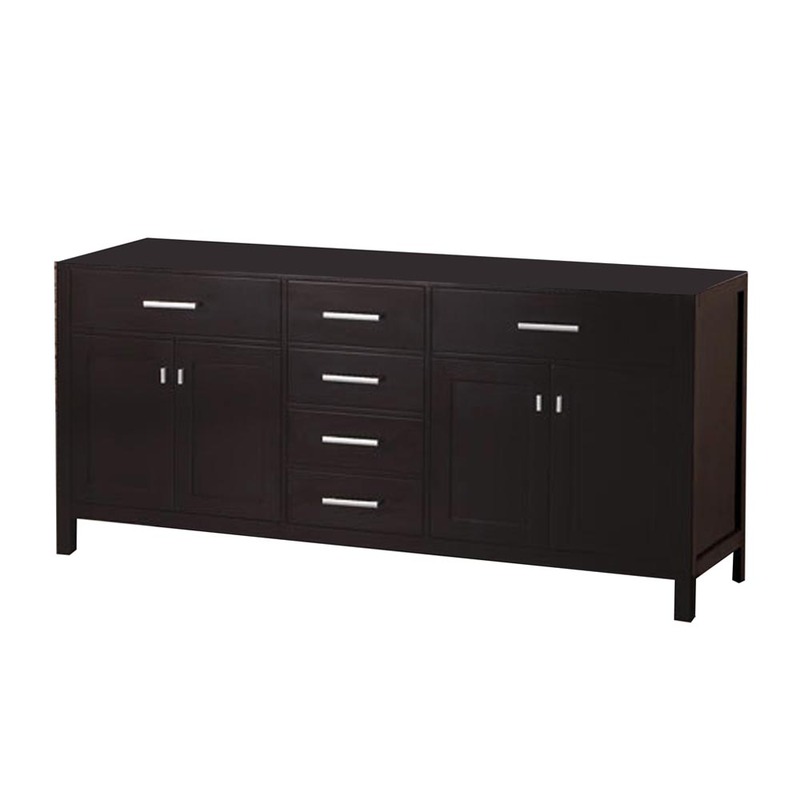 The vanity also provides plenty of storage space with its four pull-out drawers and two double door cabinets. 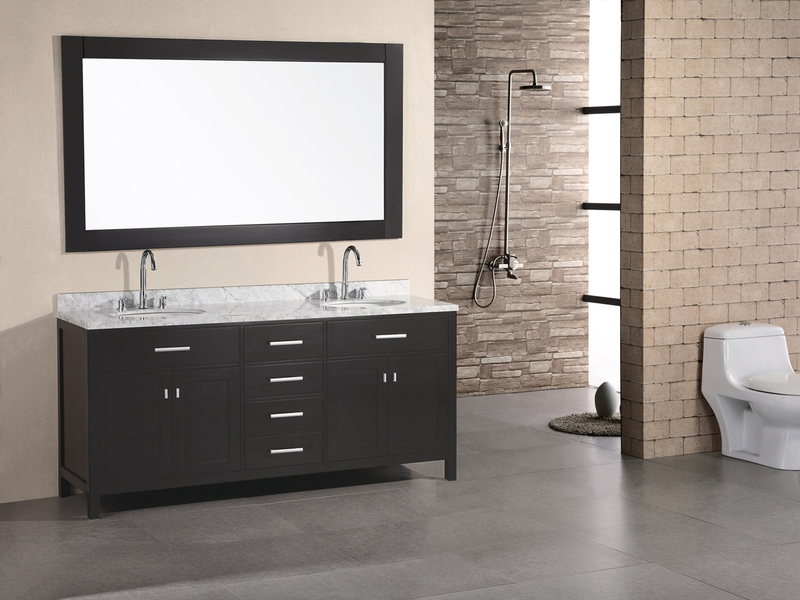 With so many storage spaces, it will be easy to organize your bathroom. 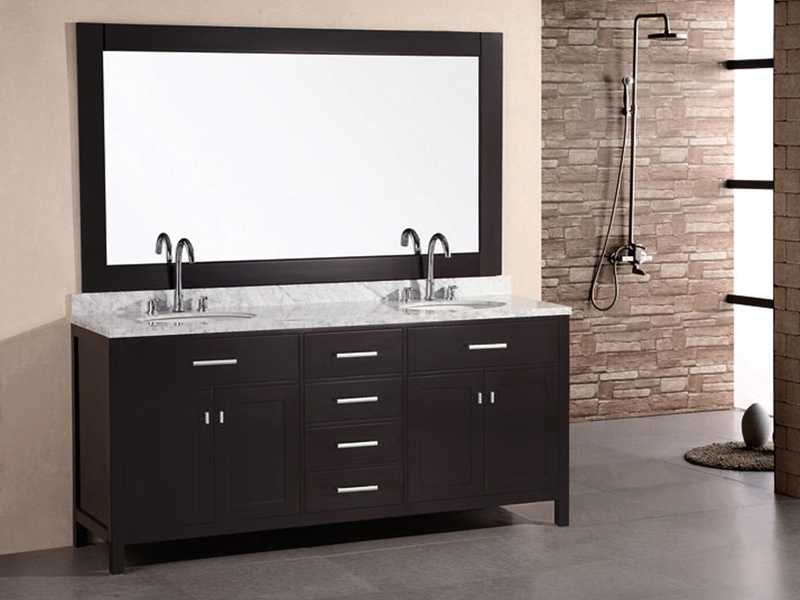 A matching framed mirror is also included with this vanity to complete the look of your modern bathroom.